Has your site been hit by Panda or Penguin? If you can see a drop off in search traffic (and hence your Google rankings) around the 24th April 2012 then Google Penguin has penalized your back-linking profile. The keywords that dominate your back-link anchor text are the ones usually hit the hardest in Google rankings by Penguin. To see the anchor texts currently linking to your site, use the free tool at majesticseo.com. The Google Penguin algorithm requires text link density of less than 5%. It is advisable to reduce the volume of keyword rich anchor text links. Replace these with Brand links, URL based links and ‘junk’ links. Your website name or business name is a Brand link. Use different permutations of your domain name for URL links. Rather than trying to build as many links as you possibly can, it is now more valuable than ever to have links from different C Class IP addresses. Links are considered to be more powerful if they originate from web sites with content associated with your site. Link from trusted sites with Google PR. The trust score of the site carrying your link is important. Where possible try to find website pages that will link to you that have already got ‘authority’ back-links pointing to them. 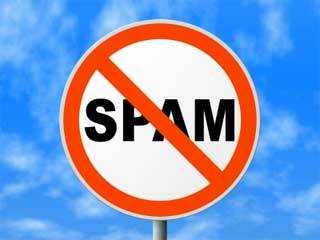 Don’t use automated link networks to build links because the quality of those links will not be top quality. Google penalize sites it finds using link networks. If your website is caught by Google using a link farm then it will make zero difference how beautiful your web design is, how high quality your content is or indeed how many good quality, related websites link to you, your site will face a Google slap for being involved with a link network and attempting to artificially manipulate Google PR and rankings. The consequences can’t be stressed enough, your website will plummet in Google rankings and your traffic flows will fall off a cliff. If you use an SEO as your link builder, check with them to make sure that your links are future proof. Don’t go mad with your on-page keyword density, less really is more for the new Panda algorithm so target around 2%. An easy way to aid your search engine rankings is to add a link to an authority site from within your content. The best sites to link to are .gov and .edu sites. This is one of the most common optimisation errors we see. You should follow one of the quality SEO tutorials online for more advice and in depth instructions about balancing your on-page keyword density. Only publish high quality, unique, well written content on your pages. Google Panda wants to see contextual linking from keywords within your content to other pages of your website, or to authority domain content pages. Content quality goes hand in hand with your web design quality and construction and works in tandem with your optimisation, your other internet marketing activities such as Facebook and Twitter marketing and even your pay per click Adwords marketing campaigns. If you need help and assistance with your web design or content optimization, speak to Deeho and let them show you how to make your website search engine optimization friendly. Videos and images are very useful content. Images are a great way to break up large areas of text and help to explain your content. Videos are great for improving the time that visitors spend on your pages. The image alt text attribute is the perfect place to put long-tail keyword rich image descriptions. Use different variations of keywords and phrases for each image. Spell checking is really important and you ought to get in the habit of double-checking everything you write so that it’s all the highest possible quality. As a rule of thumb, target around 500 words or more for each page of content that you write as this has been shown to be beneficial for search engine results. Always write for your visitors, not for search engines. If you write for search engines, you will get traffic, but that traffic won’t like your content very much, so won’t stay very long on your site to read it. Google uses latent semantic indexing (LSI) to relate keywords and phrases with the same meaning. This means that instead of repeating your primary keywords time and again you can use variations of each keyword and words with the same definition and Google will still understand what your content is all about. Check all the pages of your site for duplicate meta-tags using Google webmaster tools.Each page should contain unique data, if you have duplicates edit them because you will be penalized in the search results. A well-written and compelling meta description tag will improve the volume of clicks you receive from search engine traffic so write the most compelling description tags you can. Slow websites don’t rank very well. Use YSlow in Firefox to measure the load speed of your site content. Your website bounce rate measures the amount of traffic that leaves your site straight away. The lower you can get this number the better, but the maximum figure for top rankings is 55%. Average page views is an additional metric used to determine the caliber of your website content. 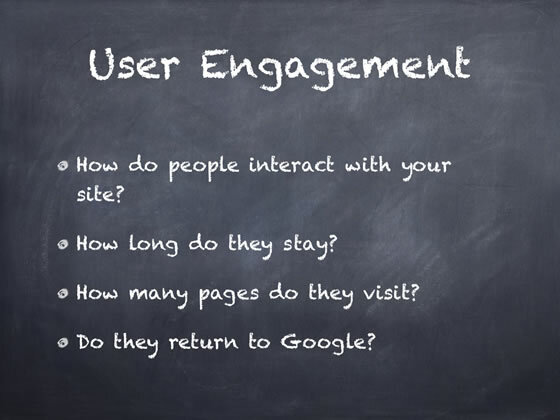 The more pages a visitor looks at, the better your site is considered to be. The length of time your visitors spend reading your content is a good indication of the quality of your content. Raising the average time on site will help your rankings.